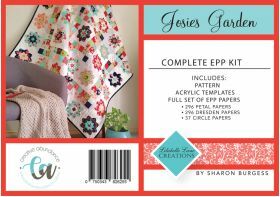 Josie's Garden Quilt is a fresh new design and is the newest release from Lilabelle Lane Creations. 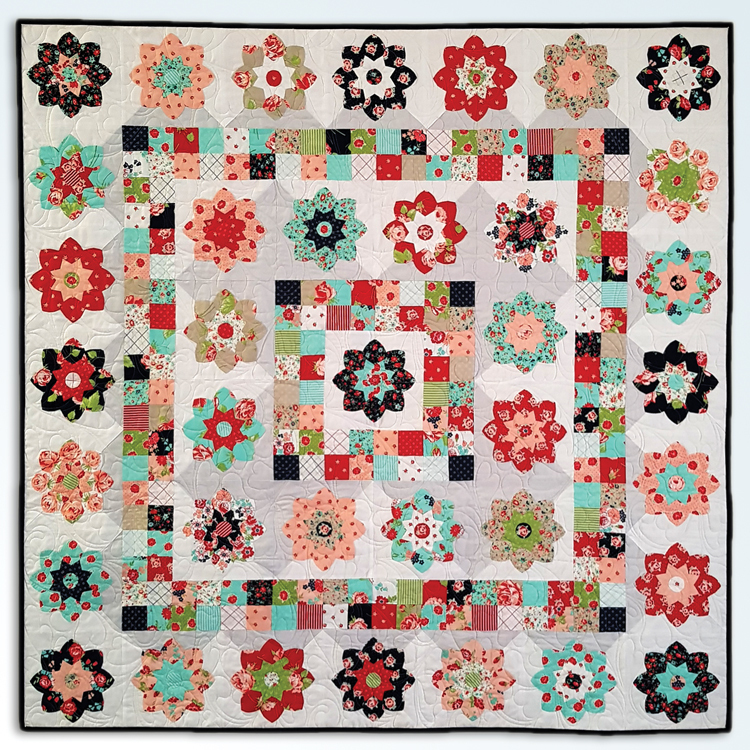 This pattern features English Paper Pieced flowers that are appliquéd onto a machine pieced background. 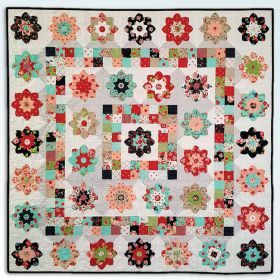 Josie’s Garden is Precut friendly and can be made with a (Moda) F8 Bundle -or- A (Moda) Layer Cake and a (Moda) Jelly Roll -or- 2 (Moda) Jelly Rolls plus the background yardage. The Pattern / Perspex Templates and a FULL set of papers all in a convenient and sturdy zip lock bag. The pattern includes full instructions for the quilt, including instructions for the English Paper Piecing and Applique techniques. 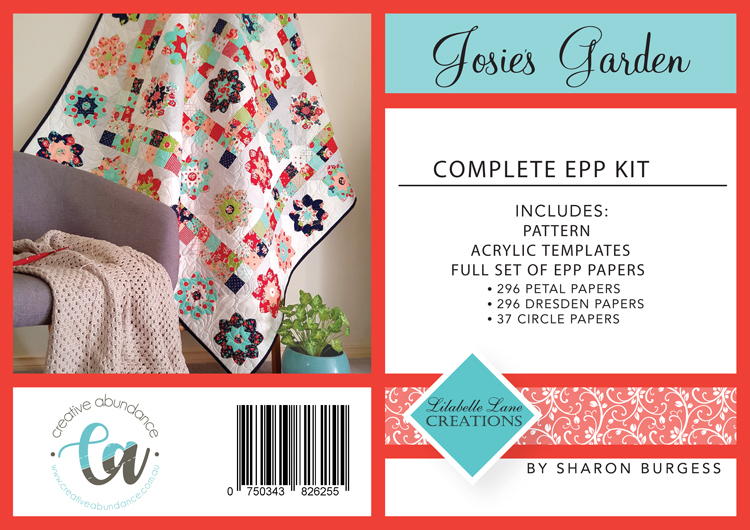 The pattern contains lots of diagrams to also help guide the maker and is beginner friendly. Having the full set of papers means that you can make all your beautiful blooms before you need to think about placement within your quilt. This will also allow you to prepare your blooms in advance and take them with you to stitch at your next sewing day, lunch time at work or whilst the kids are busy at their sporting commitment or even whilst you wait for your own appointment. The precision cut papers in our Lilabelle Lane EPP Kits are cut from a white card that has a great surface for glue basting and the papers are reusable multiple times.